Fairy Tail’s Second Movie, OAD Announced with Tartaros Visual! 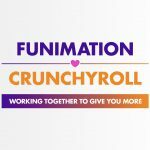 Baka To Test Shoukanjuu OVA Announced! The World God Only Knows OAD Announced!